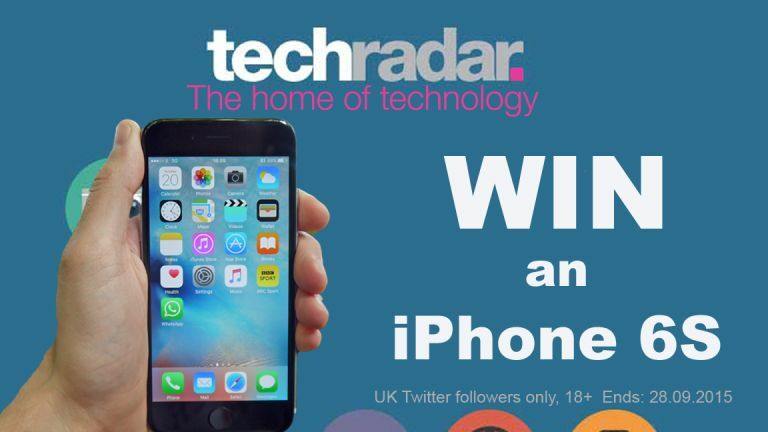 Our friends at techradar have relaunched today and to celebrate it's giving you the chance to WIN aniPhone 6s. As well as bringing you the usual plethora of comprehensive news and reviews, techradar is also extending its coverage in some breakout areas - car tech and wearables - as well as launching a new How To section and updated homepage. To enter, all you need to do is tweet @techradara photo showing why you think you need a brand new iPhone 6s. Perhaps you've got a broken phone, or your screen is cracked or you have a BlackBerry. Whatever, just tweet them your picture. 3. You must also tag techradar (@techradar) into the post via Twitter only, we cannot accept entries on Facebook or other social platforms such as Instagram or Snapchat. 4. Entrants must be following us at @techradar on Twitter, those who enter but aren't following will be disqualified. 6. Entrants must be 18 years old or over, and based in the United Kingdom. Proof may be required. All posts which meet the above criteria will be judged by the techradar team and an independent adjudicator, who will pick the photo from a shortlist of entries. The 'Win an iPhone 6S competition' will take place between 10am Friday 25 September 2015 and 3pm Monday 28 September 2015 (BST). It is open to UK residents over the age of 18. By entering this competition, you give Future and its licensees the right, free of charge, to republish your entry for any purpose. The prize winner will be chosen by the judging panel in their absolute discretion from all entries which meet the above 'Criteria'. The judges' decision is final and no correspondence will be entered into. There will be one (1) prize, details of which will be announced on Tuesday 29 September 2015. The competition closes at 3pm (BST) 28 September 2015. Entries entered after 3pm may not be counted.